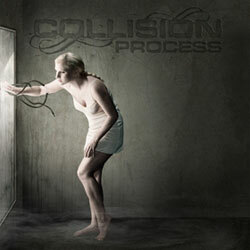 Collision Process is a new band from the British Midlands. They were founded in 2010 and didn’t take long to come up with their self-titled, four track EP. The British often have a tendency to be overly indulgent with their own bands, but in the case of Collision Process, all the praise is justified. The opener Sleep Now Forever starts as a classic metalcore track, but soon you’ll notice how varied the song is structured. This rhythmic piece is carried by two vocalists. While the first one is in charge of the screams, the second one reminds me a little of Tool’s Maynard Keenan. Up next is Revelations where the band is showing off their incredible technical skills. The furious killer riffs stand right next to quieter parts, and there are even true progressive metal moments. Breaking Point is more melodic but certainly not predictable, coming across eventually as a more extreme variety of Dream Theater. The EP concludes with Divide, a track with a lot of extreme staccato parts yet never abandoning its sense for excellent melodies. The four musicians have thus presented an exquisite appetizer for a forthcoming longplayer which unfortunately might not be released this year. The quartet has set a high standard with this EP, and it will be hard for them to exceed themselves. Therefore I give them the highest grade with the hope that this will motivate them to work really hard on the follow-up. I suggest you get the EP to pass the time until the band will be back with the longplayer.